A group of clerics in Pakistan has announced that marriage between transgender individuals is legal under Islamic law and advised against humiliating and harassing third-gender individuals. "The hijras are human beings and they have rights given by Islam," said Muhammad Zia ul Haq Naqshbandi, the leader of the group of clerics, as cited by Deutsche Welle. "Through this fatwa, we want to inform the public that they can marry." The ruling stated that they can also be buried in accordance with Muslim traditions. The clerics go on to advise against the display of negative attitudes toward transgender people, especially those intended to “humiliate, insult or tease” them. "Making noises at transgender people, making fun of them, teasing them, or thinking of them as inferior is against sharia law, because such an act amounts to objecting to one of Allah's creations, which is not correct," the ruling said, as cited by Reuters. It also said that parents who deprive their transgender sons and daughters of their inheritance were “inviting the wrath of God” and called on the government to take action against them. However not all transgender people would be able to marry each other, according to the fatwa. “It is permissible for a transgender person with male indications on his body to marry a transgender person with female indications on her body,” it states. 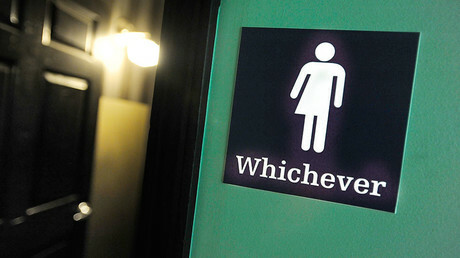 All in all, the situation for transgender people as a whole remains complicated. Shunned by society, they often end up as street dancers, prostitutes or beggars. There are between 80,000 and 300,000 transgender people in Pakistan according to a 2009 census. The country took a liberal direction in 2011 when it started enforcing equal rights for transgender citizens – first with the right to vote, and then in 2012, by extending that to the right to inherit property and assets.